When you throw out an aluminum soda can you waste as much energy as if you filled the can with gasoline and poured it out of the ground. Recycling a single soda can would save enough energy to run a 100 W bulb for 20 hours, a computer for three hours and a TV for two hours. In America, aluminum cans are the most recycled material. They are also the biggest trash item that ends up in landfill. Each year Americans throw out $1 billion worth of aluminum cans. Imagine if you could just recycle or percentage of that! Of course, it’s not just soda cans that can be recycled but also baking trays, pet food cans, pie pans and even aluminum foil. How many bottles of water do you drink in a week? 86% of plastic bottles in circulation in the US end up in a landfill or incinerator. That breaks down to around 60 million plastic bottles being dumped in the trash or burned every single day. As for glass, 80% of glass is recycled into new containers. By making a new glass bottle from 50% recycled material you can save enough energy to power 45,000 households four-year and prevent or 180,000 tons of waste going into a landfill each month. All of that from recycling glass! Another thing you could recycle is your own unwanted junk. 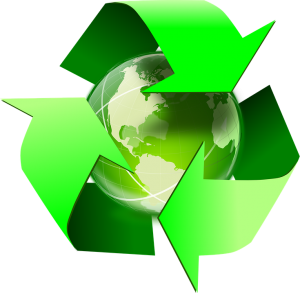 Anything to toss out like an old sofa, appliance or outdated DVD player has the opportunity to be recycled if you pick the right junk hauling company. Junk King Birmingham has been partnered with recycling facilities throughout the area ever since they began collecting rubbish in Birmingham. When they get a truck full of enough recyclables they’ll make a trip to that facility for a proper disposal. If you’re looking for a perfect junk recycling partner, then look no further than Junk King Birmingham. This entry was posted in Birmingham Junk Removal and tagged Junk King, junk removal, recycling on November 30, 2017 by Junk King. Last updated December 1, 2017 .